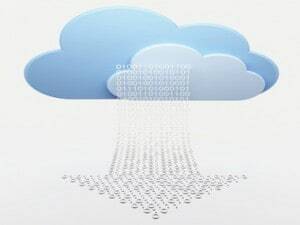 VMware has announced two new open source projects built to enable enterprise adoption of cloud-native applications – Project Lightwave, an identity and access management project that will extend enterprise-scale and security to cloud-native applications; and Project Photon, a lightweight Linux operating system optimized for cloud-native applications. Designed to help enterprise developers securely build, deploy and manage cloud-native applications, these new open source projects will integrate into VMware’s unified platform for the hybrid cloud – creating a consistent environment across the private and public cloud to support cloud-native and traditional applications. By open sourcing these projects, VMware will work with a broad ecosystem of partners and the developer community to drive common standards, security and interoperability within the cloud-native application market – leading to improved technology and greater customer choice. With this announcement VMware is looking to help enterprise developers securely build, deploy and manage modern, distributed applications. The open source projects are lightweight, highly scalable technologies optimized for securing and running containerized applications in a virtual environment. The projects are designed to bring both developers and IT operations teams together by streamlining engineering throughout the application lifecycle from developer desktop to production. Over time, these technologies are expected to be further integrated within VMware’s software-defined data center and end-user computing portfolios to help enterprises embrace containerized applications and benefit from VMware's industry-leading compute, networking, security, storage, and management solutions. Project Photon, a natural complement to Project Lightwave, is a lightweight Linux operating system for containerized applications. Optimized for VMware vSphere and VMware vCloud Air environments, Project Photon will enable enterprises to run both containers and virtual machines natively on a single platform, and deliver container isolation when containers run within virtual machines. Future enhancements to this project will enable seamless portability of containerized applications from a developer’s desktop to dev/test environments.